Contains 6 quality, slightly thinner, silicone lubricated, natural rubber latex condoms. 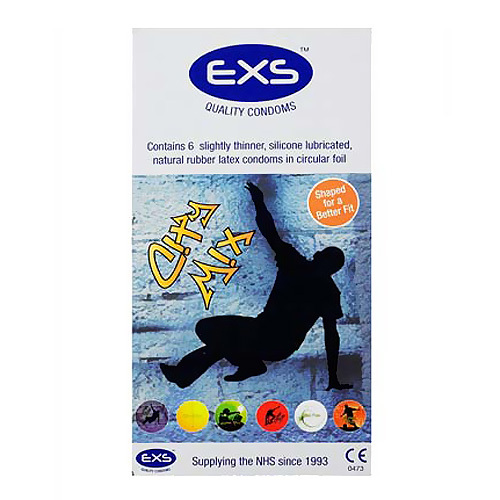 City mix condoms come in a urban art decorated circular foil wrapper. Supplying the NHS since 1993.